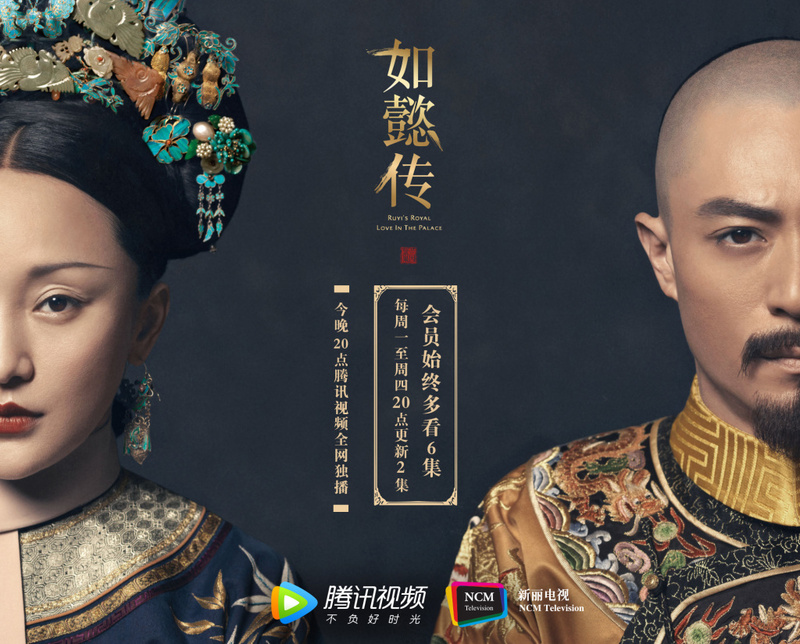 Ruyi's Royal Love in the Palace 如懿传 viewership ratings does not disappoint as the show hits 100 million views within the first half hour of its release on streaming site Tencent. It's still too early to tell how public opinion will sway henceforth, but it looks promising at least. Update: Show has reached 200 million views in less than 15 hours. Eight episodes have been released for members, 2 episodes are available for non-members. However, what seems to be trending the night that the show premiered was not whether the show is good or bad, but the annoyance of having to deal with ads at the bottom of the screen that even covered the subtitles. 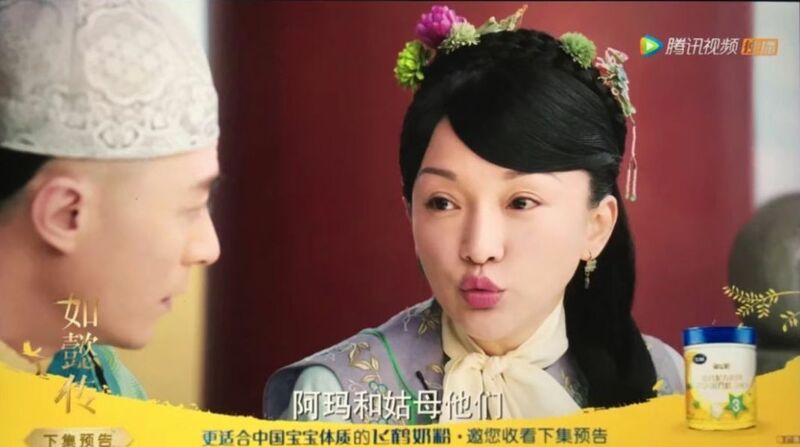 Tencent acknowledged the issue 20 minutes into the episode and apologized to viewers stating that there was a bug in the ads and that it has been fixed as of 8:28pm. IMO Ruyi fall very short from Yanxi Gong Lue in terms of storyline and choosing the right people to play. All the actors in YXGL were great. YXGL cinematography isn't bad, very superb. But in Ruyi there is a tiny bit more color and much more prettier than YXGL. Yeah the clothes and decorations all seems better and really expensive. The music is also really good. Nie Yuan is old but still charming and charismatic, I didn't want to ship him with Wu Jing Yan not because of their age and looks but her character is someone who wouldn't give in to anyone else easily. I don't want to see her acting all damn weak because of the king who sleeps with every women. But I was still very helpless in being drawn to their interaction from begiining till end, it gets interesting and cute how he has a crush on her. Wallace and Zhou Xun's chemistry is below zero. The last time I saw his drama was TJOF, I did not ship him with Zhao Liying either because not that he looks like an uncle to her but his attitude is dead serious while her attitude is like an overly sugary kid. It's like a taboo plus pedofile. Too bad this time the pairing is again a disappointment, mostly from the looks actually. Zhou Xun is too old for him. I hate high pitch squeaky girl voices like mice, but in Zhou Xun's case, it's a different story, her looks is old now so having a high pitch voice could have created an illusion of a young girl. I've seen some dramas where the actress isn't that pretty but if her voice is pretty that can make her very good looking, and vice versa if the pretty girl has an ugly voice she became bad looking. The voice is the life. In YXGL, everybody's voice were diamonds, they all matched their characters really well and brought them to life. Fortunately, subs have started. The actor playing the emperor played a communist party leader in In The Name Of The People. 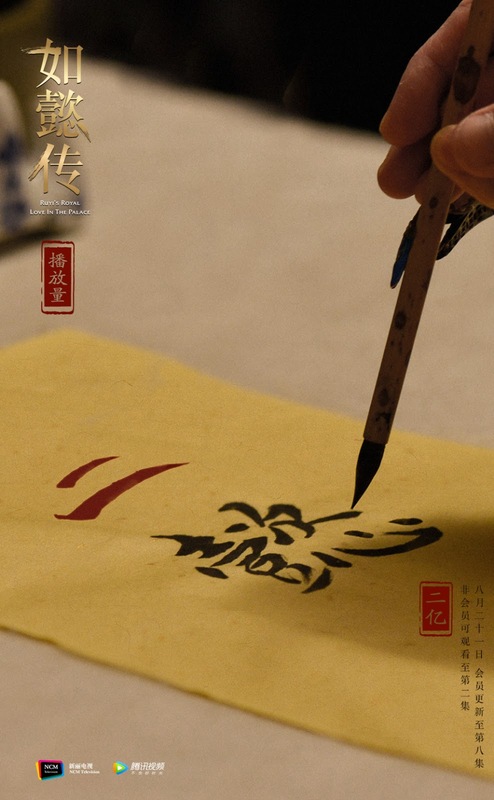 Hopefully, china will do more dramas that are not about concubine wars. Well, if it is a historical drama about the royal family - concubine fighting was def a huge part of it all. I don't mind it but I want it done well, realistic (as much as they can) and not just making things up for the sake of entertainment (or stereotypical and flat). Present characters as complicated beings and not make one person evil or good because in reality, things aren't clear cut. I'm sooo grateful that this will have English subs and yes, I've been waiting for 2 years! I will watch it before making judgement and I'm happy it's doing well rating wise. People also criticizing Zhou Xun's real voice are also just annoying; there's nothing wrong with it! Guess they are so used to the typical dub voice that they forgot that real people have different voices.